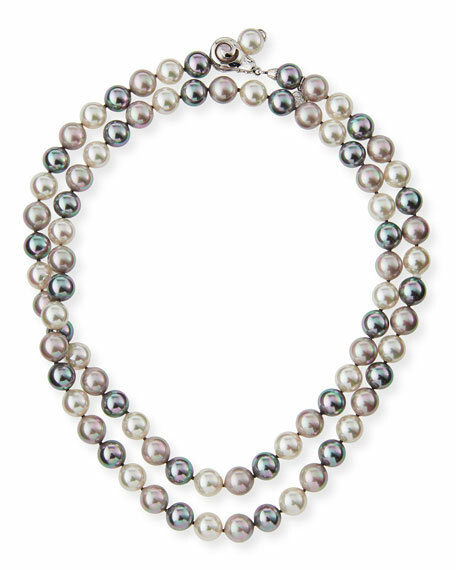 Majorica Multihued Simulated Pearl Necklace, White/Gray, 34"
MajoricaMultihued Simulated Pearl Necklace, White/Gray, 34"
Majorica multihued simulated pearl necklace. Moveable clasp for custom length. Armenta Old World Scroll Keshi Pearl Necklace, 36"
Armenta necklace from the Old World Collection. Signature oxidized sterling silver chain. 18-karat yellow gold scroll stations. Naturally colored Keshi pearls. Toggle clasp with logo charm. Approx. 36"L. Made in the USA. 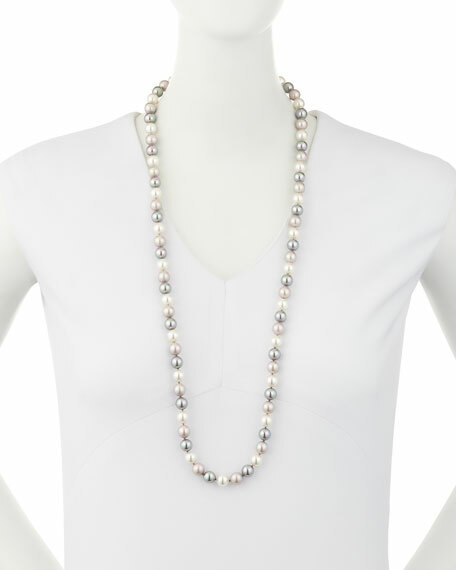 EXCLUSIVELY AT NEIMAN MARCUS Linda white pearl and chain necklace by Hipchik. Electroplated brass Franco chain and hardware. Cubic zirconia pav?? oblong bead stations. Naturally white freshwater cultured pearls. Approx. 42"L. Made in USA.